A few weeks ago a friend sent me an amazing piece of memorabilia – a journal article from the year 1905. It made such an impression on me that I immediately decided to share its wisdom on the ever discussed question of what is success and what is failure and how can we influence their relationship by learning the lessons our life experience provides us with. The article was published in one of the military periodicals of the time and it delivers its point through discussion of an imagined combat scenario as seen through the eyes of the commander of a small force tasked with holding an objective until reinforcements arrive. But it’s not just a scenario – the hero experiences it as a conscious dream, meaning that despite the seriousness of the situation he is constantly aware that this is a dream and can therefore act both as a participant and as an objective commentator. The first time he experiences the scenario, his failure as a commander is complete – he and his soldiers are taken prisoners almost without firing a single shot. However, every time he falls asleep again, he experiences the same scenario and tries his best to apply the lessons he learned from the failure experienced in previous dreams. These lessons are accurately summarized in the end of every dream and the hero remembers them perfectly for his next dream. To cut the long story short, he had to go through five dreams until his small force was able to at least to survive the engagement! He had to go through one more until his mission was a success (and a modest one). Think about it, even with a perfect mystical knowledge of the future it took a professional six trials to get the job done! Failure and success are not opposites, but our subjective interpretation of scalable values. Same value could be considered either a success or a failure in different circumstances. Failing at a mission doesn’t make anyone a failure. The inability and unwillingness to learn from mistakes do. In order to learn from your mistakes you have first to acknowledge their existence. It is much harder in cases when the behavior that leaded to failure brought some positive results at the start. Don’t take professional failure personally! 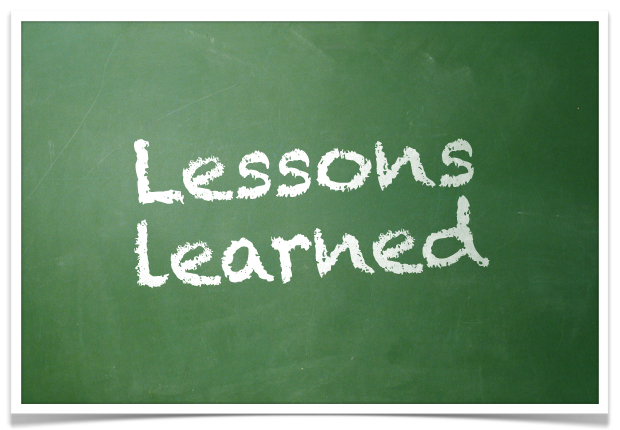 It will mess with your ability to profit from the lessons you’ve learned. No one is ideal: even professionals make mistakes, but what makes them professionals is that they know to keep attacking the problem from different angles. Our ability to learn from mistakes is limited by our understanding of causal relationships in the context. Without knowing what caused what we’ll keep pushing the wrong buttons. You can actually say that a professional is someone who can explain what went wrong clearly enough that the results are visibly improved next time, and not necessarily someone who never experiences problems (or never reports them, at least :-)). Don’t take things for granted – even the Holy Grails of your profession could be challenged and modified if the task so requires. Sometimes the whole paradigm of how things are done has to be changed in order to succeed. In other cases, only a small modification of current actions should be sufficient. Neither should be done as a pre-set strategy! These are just a few points that just jumped into my head right after reading. If you have read the article and have anything to add – I’ll be glad to hear. This entry was posted in Business Management, Business Process Improvement, Change Management, Competence Training, Continuous Improvement, Decision Making, Project Management and tagged Business Management, Change management, Competence Training, Continuous improvement process, Decision making, Functional Manager, How to Deal, Management, Project management, Strategic Management, Strategy by AnyaWorkSmart. Bookmark the permalink. So true! Love the thought that even if we knew what was going to happen, success isn’t automatically guaranteed. I also find that my expectations are not the same as others, and they might view my failures as a success. Well said Kristin! So often we judge ourselves through the eyes of others forgetting our personal expectations and inclinations. Re: “Back to the Future” – Being able to predict (the closest we have to knowing the future 🙂 ) is a very special skill, and yet its only one step out of many on the way to success. Learning from mistakes is the only thing that most of the people wanting to succeed deny. If we accept the failure and learn from our mistakes, we will be successful no matter how painful or stressful the path is. It’s nice to know that there are people who understand the importance of the issue!